Our guitar making course teaches you how to build a classical or flamenco guiar, with on-on-one tuition provided by Roy Courtnall, working in a purpose-built humidity-controlled workshop studio.You can focus on a particular aspect such as how to make inlays and sound hole rosettes, strutting and soundboard design, neck and head making, side or rib bending, bridge, purfling, binding and more - or on a longer course you can make a guitar from start to finish, begin with choosing a plan of a famous guitar to copy, select your tone woods, and work through all the stages from planing lumps of wood and turning them into a beautiful, French polished guitar that works well as an instrument. 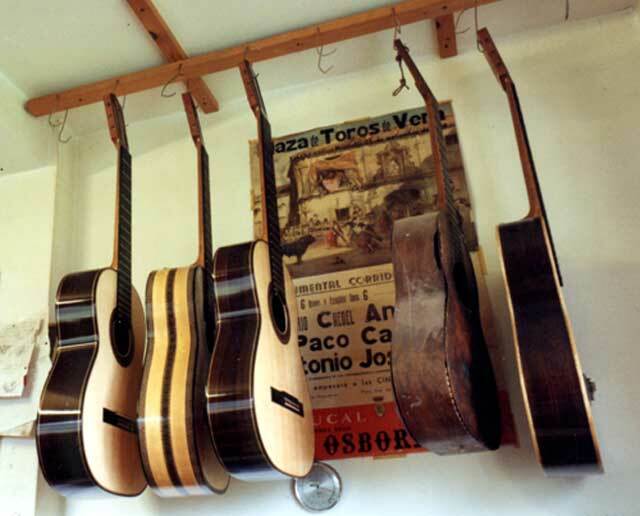 Whether you are a complete beginner or someone who has already worked with tools and tone woods, we can help you achieve your dream of playing a beautiful guitar made with your own hands. 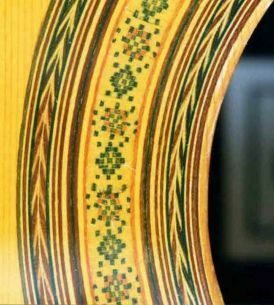 Full details on our Guitar Making Course website. 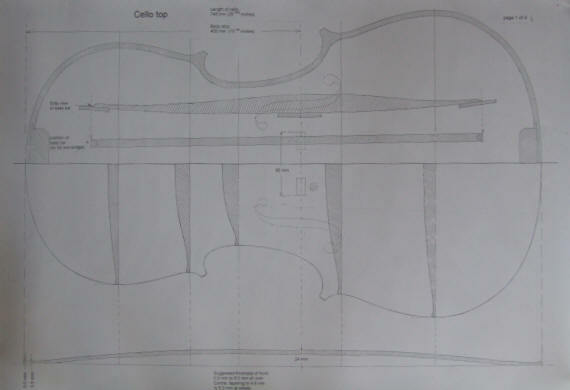 These Cello Plans can be emailed to you as PDF files - most good Print & Copy shops will print out full-size direct from the PDF, which you can email or take to them on a memory stick. If this service is not available in your area, I can post the full size paper plans to you, but this will be more expensive (55.00 British Pounds Sterling including world-wide airmail postage). These are full-size drawings of a 29 7/16 inch (748 mm) Cello, based on typical Strad cellos. The plans were drawn by an English cello maker in 1965 and are offered here as unaltered facsimiles of these original drawings. 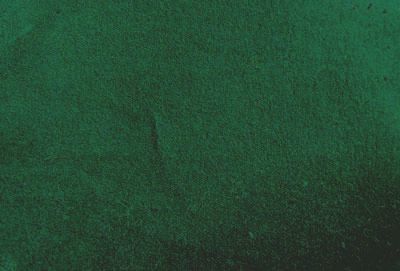 The plans are printed on four sheets of paper, each 33 x 24 inches (84 x 60 cm). They provide a good basis for building a cello. 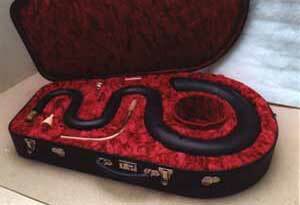 I supply the full range of Hiscox Cases; for guitar, violin, viola, cello, brass etc. Contact me with details of the case you want and I will confirm current best prices. See details of all Hiscox Cases here. Free postage on all UK deliveries. KINGHAM CASES are made from the finest materials, and each one is custom-designed to fit a particular musical instrument - these are truly bespoke cases. 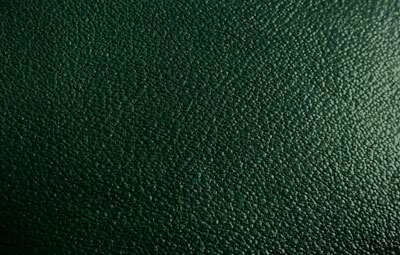 The outer shell is covered with luxurious "Rexine" LeatherCloth in a choice of colours. 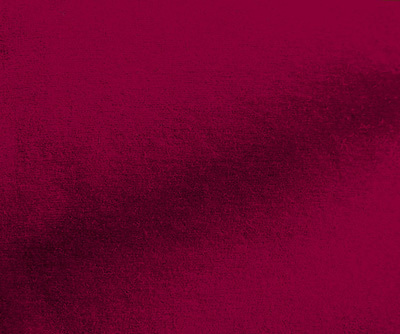 The interior protects your musical instrument with ample padding and a choice of Plush or Velvet fabric in several colours.Top quality fittings and trimmings are used throughout, including nickel-plated hardware and solid leather handles. KINGHAM CASES are increasingly the choice of professional musicians all over the world, especially those with unusual instruments for which mass-produced cases are hard to find.Also available are Loose Outer Covers for the Cases, and Travel bags. ISBN 0 7090 4809 2 Format: 210 mm x 297 mm 336 pages 538 black and white photographs, line drawings, sketches and plans. The Art of Violin Making is a major reference book for everyone interested in the history of the violin and its method of construction. The Art of Violin Making is both a craftsman’s handbook and an historical reference, bringing into one volume a summary of essential information for the violin maker, player and historian. Part One: The Violin Makers is devoted to separate chapters on the life and work of some of the greatest families of violin makers; the Amati, Stradivari, Guarneri, and the unique genius of Jacob Stainer. 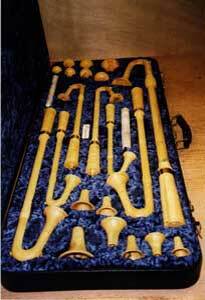 These chapters include superb colour photographs of the makers’ instruments. Also included is a chapter covering the work of some leading contemporary violin makers. Part Two: The Workshop, Tools & Materials provides essential information about the tools, working environment and materials needed by the violin maker. Part Three: Violin Construction is the major part of the book, and comprises a detailed, step-by-step guide to the traditional method of violin making, based closely on the teaching system employed at the world-famous Newark School of Violin Making in England. This section is well-illustrated with several hundred photographs and technical drawings. The method of violin making is presented with great clarity, so that even the newcomer to this fascinating craft will be able to produce a superb instrument. The book is essential reading both for the violin maker and the historian, providing as it does a unique record of the history, social background, lives and work of the great violin makers of the past, combined with a clear, practical guide to making violins. 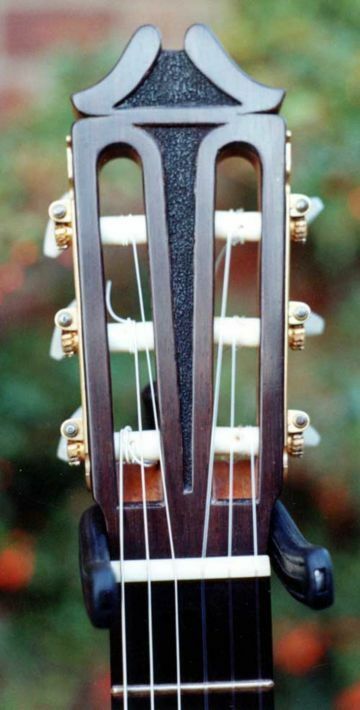 The Authors: Roy Courtnall is a luthier, writer and lecturer in musical instrument technology. Chris Johnson is a violin maker who graduated from the Newark School.
" This very comprehensive treatise on an art cherished as much by the professional as by the amateur, will be gratefully acclaimed by both. Exhaustive in its detailed exposition of the actual process of construction (and beautifully illustrated), conceived, as it is, by two disciples of a distinguished English achievement - The Newark School of Violin Making - it carries the inspiration and authority of that commitment to perfection, which is the supreme beauty of sound, aspect and touch of a violin. I believe that the British inborn love for wood, the superlative excellence of its craftsmen and great artists in the creation of some of the world's most beautiful furniture, together with the cultivation of the human voice in song and choir and with that exquisite sense of texture in the caressing and dramatic painting of nature as of people, bringing together the visually aesthetic, the living vibrations of sound, and the "feel" of something we love, are all three responsible for the great number of amateur makers, often of excellent quality, and the establishment of the Newark School. Because of the inbuilt, inescapable demands of an object which must satisfy these three essential elements, the art of violin making had always been served by dedicated human beings who have placed their work ahead of their pocket. Of course, the market place today is a favourable one, for almost no violinists can afford the ever-rising prices of the past masters of this European art - in Italy especially, but also, importantly, in England,in France, in Spain, inBohemia, and in Germany. The good violin maker of today can finally actually make a living but always, and forever, remains true to himself (now also herself). 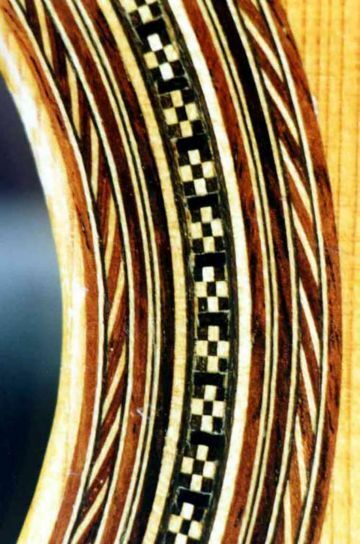 The "luthier" (violin maker) remains an artist. The violin is truly the most immediate instrument of human motion, as of human emotion. 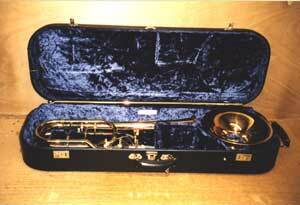 As a perfect instrument it cannot be otherwise. I know that, aided by this book, it will continue to fulfil the demands of composers, of interpreters, of our improvisers, and of our publics in the same way as it has served the dances and the stylized dances of Bach's day, and the waltzes of Strauss's Vienna, and our great classical heritage, as it still serves the heartfelt dictates of gypsy and Jew."